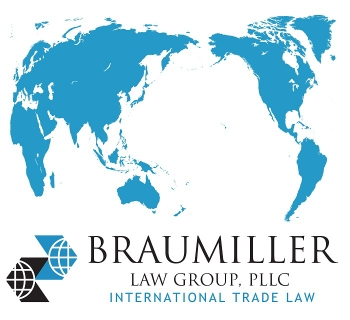 One of the more interesting developments in the trade world is the recent addition of Russian businesses and individuals to the Specially Designated Nationals List (SDN List) by the U.S., Canada, and EU. On March 15th, the U.S. Treasury Department announced that the Office of Foreign Asset Controls (OFAC) added six individuals, including four Russian government officials, and eight entities, including six Russian defense firms, to the SDN List. Along with OFAC’s designations, Canada imposed sanctions on 114 individuals and fifteen entities, while the EU imposed sanctions on eight high-ranking security service officials and military commanders. The newly added SDN’s stem from attacks by Russia in late 2018 on Ukrainian ships off the coast of the Crimean Peninsula, which led to the capture and current imprisonment of twenty-four Ukrainian crew members. Along with the attacks on the Ukrainian vessels, the U.S. government has determined that Russia continues to occupy the Crimea region and aid illegitimate elections in Ukraine. These violations by the Russian government are contrary to its responsibilities under the Minsk Agreement, as well as other foreign treaties. The Minsk Agreement was signed by multiple Nations, including Russia and Ukraine, in an attempt to halt the ongoing tension in parts of Ukraine. The current and past actions of the Russian government are ultimately what led the U.S. to make the additions to the SDN List. Being put on the SDN List does not come without a cost. For starters, U.S. persons and companies are generally prohibited from dealing with these individuals unless a general or specific license is granted by OFAC. This can have major ramifications on businesses and individuals who engage in transactions with the designated individuals/companies. The monetary penalties for transacting with SDN’s without a license can exceed several million dollars. If a person/company is aware of a potential current or past violation, an internal review should immediately be conducted to verify if a violation occurred. If one occurred, it may behoove the company/individual to voluntarily self-disclose as this is seen as a mitigating factor and could significantly lower the penalty. In practice, U.S. businesses and individuals can avoid dealing with SDN’s by screening the individuals, companies and shipping that they transact with. Screening should occur prior to every shipment, in order to capture updates to the SDN list under OFAC, as well as the denied and restricted parties lists under the Department of Commerce (BIS) and Department of State (DDTC). Instituting these compliance measures can help prevent a possible violation and could save a U.S. person or company a sizable amount of money, as well as headache in redressing the issue.